The next program starts February 11th with several locations to choose from! 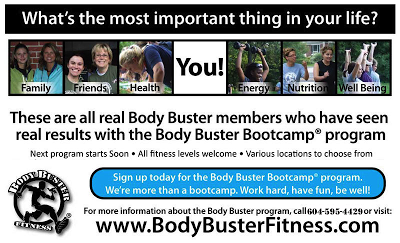 The Body Buster Fitness® program caters to all fitness levels. Classes include a well balanced workout with a variety of exercises in which each member can choose the degree of difficulty. Utilizing both indoor and outdoor space, members have the opportunity to experience exercise in the best of both environments. This results-driven fitness program implements a balance of motivation and challenge in order to reach your fitness goals! Ball Day at Body Buster Fitness®! 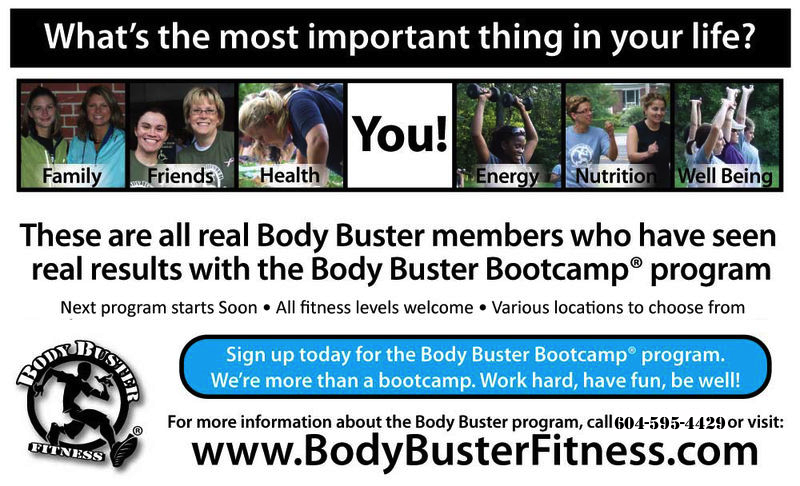 Langley, South Surrey, White Rock Fitness Bootcamp - Not one Body Buster Fitness® class is ever the same! Each workout is specifically formulated to help you reach your fitness goals! Expect to challenge yourself and see positive changes!